A good treat and relaxed mood are always a good start. Always be very gentle and talk in a warm, soothing voice. Encourage and praise the kitty for good behavior. 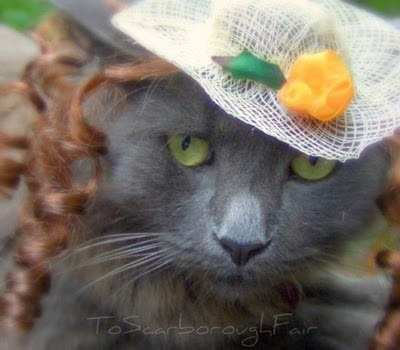 Don’t force the cat if he/she really does not want to “dress up”. Don't use without adult supervision. Don't use the camera flash when taking frontal pictures of the pet.